At Urban Forestry Works, we are clearing the way . . .
Are large specimen trees standing in the way of your construction project? 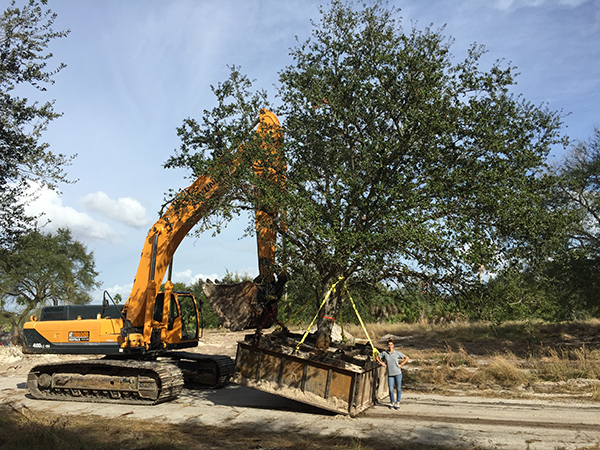 At Urban Forestry Works, we are helping urban planned unit developers, golf course developers and resort expansions as well as other construction projects meet their project goals and environmental commitments through safe tree relocation and transplanting. We Have One of the Highest Tree Survivability Rates in the Industry. It’s a process where technology and certified-ISA arborists work side-by-side like surgeons in a delicate operation to ensure the tree’s survivability during the entire relocation and transplanting process. Our patented Large Tree Transplant System (LTTS) gives us the capability to relocate and transplant extra large and tall trees, up to 200,000 pounds, with one of the highest survivability rates in the tree transplanting industry. By preserving existing trees of value and relocating them to more desirable locations, clearing the land and starting from scratch is no longer necessary. Prior to site work, we conduct a tree survey and appraisal before the property is cleared and trees are cut down. With rapid construction and development, it is important to consider the value of the current landscape and existing canopy. Communities often favor construction and expansion projects that preserve as much of the natural surroundings as possible. The sustainable approach we offer unleashes the value of a property’s natural assets, and by relocating the trees to a location that is not only more beneficial for the project it can also help bypass tree mitigation and tree code violations. For an On-Site Tree Relocation estimate, contact us at 877-807-5271 today!